If you have read my first article on weight loss tips, the majority of the weight loss tips focus on eating patterns, habits and rituals. How you approach your food will influence what you eat. From my weight loss hypnotherapy courses, the majority of my hypnotherapy patients know what they need to eat to lose weight. They struggle to lose weight because they are using a dysfunctional belief system, clouded by stress, anxiety and bad habits. They end up eating too much or lose control of their eating intentions. Changing your approach and belief system to anything can take time. When you allow these weight loss tips to fall into place, you will be able to make clearer choices about the food you want to eat and then stick to your intentions. These weight loss tips focus on making lifestyle changes that become a natural way of healthy eating. Your awareness of “fullness” can be affected by your emotions and a feeling of tension. A negative emotion like anxiety can cause you to lose your appetite and (at the other end of the scale) comfort eat. Positive emotions can also affect your gastric awareness. By relaxing before you eat, you can stabilise some of these emotional connections. Relaxation can simply be in the form of using three slow, deep diaphragmatic breaths when you have sat down and are about to eat. Diaphragmatic breathing involves the use of the abdomen when you inhale. Then pause before extending your exhale as is giving off a slow, deep sigh. This form of relaxation places your mind in the “here and now” i.e. how you want to approach your food. It also helps you to naturally incorporate some of the other weight loss tips. 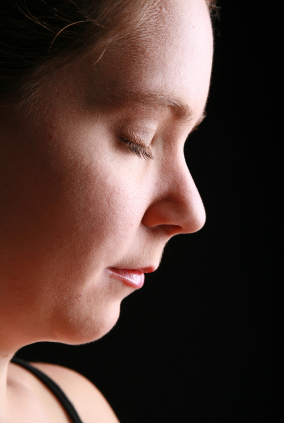 Relaxation training is an essential part of a typical hypnotherapy course. It is a fundamental technique for centring your mind. When relaxed, you can be internally more aware of signals like a feeling of fullness. Eating consciously is about devoting some attention to the eating process rather than focusing on what is happening around you. It includes what you are eating, how quickly you are eating, having a sip of water at regular intervals etc. It’s too easy to get drawn in to the emotions of the environment and lose the awareness of your eating style. Try eating finger-food with a blindfold on. You’ll be pleasantly surprised that you eat less food, eat slowly, chew more and notice a feeling of fullness much earlier. Like so many routine and repetitive activities, like driving the car to and from work, your “mode” of eating is influenced by your emotional state. When feeling anxious, there is the tendency to increase your pace. Have you noticed the way some people unconsciously eat popcorn when they are watching a thriller or horror film at the cinema? They take bigger mouthfuls and chew quickly, often unaware of the quantity they are consuming until the box is finished. Stress influences “daydreaming”, a natural occurrence where your mind is dealing with problems internally. It can cause you to lose concentration when you are doing something that is low intensity like eating. When stressed, you are more likely to eat unconsciously as if distracted, unaware of the quantity, pace and internal fullness signals. Using weight loss tips #1 (relax before you eat) will help you to eat more consciously. Sometimes the stress can be deep-rooted and hypnotherapy can be used to manage and release your stress. Even when “actual” situations can’t be changed, how you are coping with them can ease some of the symptoms, and that includes comfort eating. Feeling full is not a visual response i.e. it is not about seeing that you have finished everything on your plate. But this is the common marker used for when you have “finished” your meal. Understandably, this is a deep cultural issue to “only leave the table when you have finished your food”. It’s likely that you will have been told this as a child and you will have guided your own children gently towards this aim. You don’t want to waste food if possible and you don’t want your children to “give up” on broccoli too easily when they know dessert is next and tastes much sweeter! Prioritise losing weight over the guilt of leaving a small amount of food. It won’t make you a wasteful person. Social pressure can also “force” you to keep going until you have finished everything on your plate. This is to avoid offending the host who has gone to so much trouble to prepare the food. You eat everything on your plate and then find it difficult to refuse an offer of a second helping in case it offends. You can see that there are situations that put pressure on you to override your internal “fullness” response. Another harmful situation is going to an “All you can eat for £…” meal. Unless you have disciplined yourself to feel your internal responses, you will keep going until just short of bursting point. Not good for the diet or the digestive system. Weight loss hypnotherapy courses aim to identify your vulnerabilities and then help you develop the confidence to deal with these situations more assertively. Some excessive eating issues are very individual. As you move through these weight loss tips, you are becoming more psychologically prepared toapproach your food with choice. Begin a plan of eating different food types. Try not to eat the same type of food too frequently. This can ensure optimum nutrition from a variety of food sources e.g. different types of meat: chicken, red meat and fish and another day go vegetarian. Aim to eat a variety of different coloured fruit and vegetables. Vary the carbohydrate sources: potatoes, pasta, rice, couscous etc. Also vary the ways the food can be cooked: boiled, roasted, steamed, baked etc. Food phobias can limit the ability to eat a varied diet. In my weight loss hypnotherapy courses, part of a hypnotherapy patient’s goal can be to remove food phobias. Being sensitive to certain strong tastes and textures can be treated easily with hypnotherapy, so that you can learn to eat more healthily. Give yourself some freedom with what you eat. 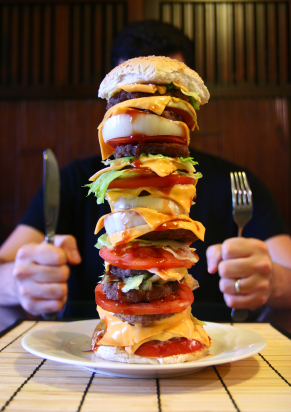 When you are too strict with your eating plans, a small lapse can lead to a collapse! By allowing some freedom, you prevent an over-reaction in the form of a binge. 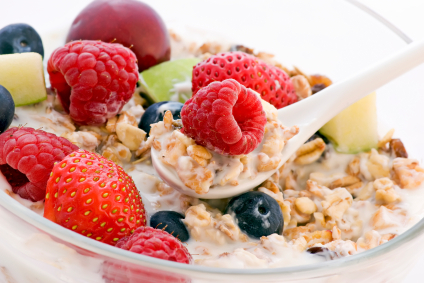 When you are making gradual changes, the odd calorie-laden food won’t seem like a disaster. If you want to have a piece of chocolate, have it! In my weight loss hypnotherapy course, I help my weight loss patient set realistic goals that will become part of your lifestyle. Being relaxed about your food choices neutralises the “power” that food may have previously had on you. You can control food, rather than food controlling you. After following this second series of weight loss tips, you will be able to approach what you eat with confidence. There will be very few occasions where your emotions throw you off track. If you are still finding that you are vulnerable in any situations, a short weight loss hypnotherapy course will further break any over-eating responses that still remain. More information on how to diet and lose weight.